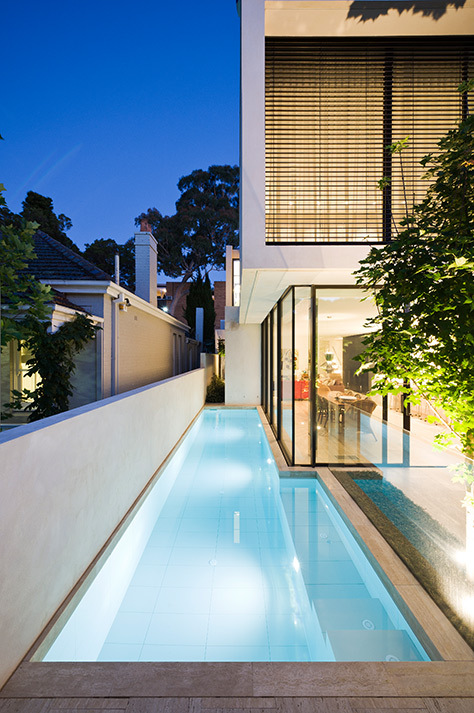 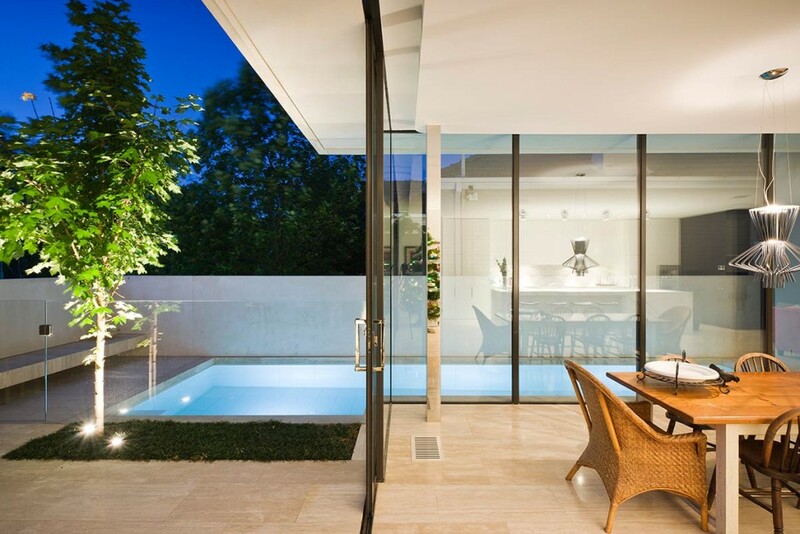 Designed by Jack Merlo Design the sleek lines of this pool are complimented by the large format tiles used to clad the interior. 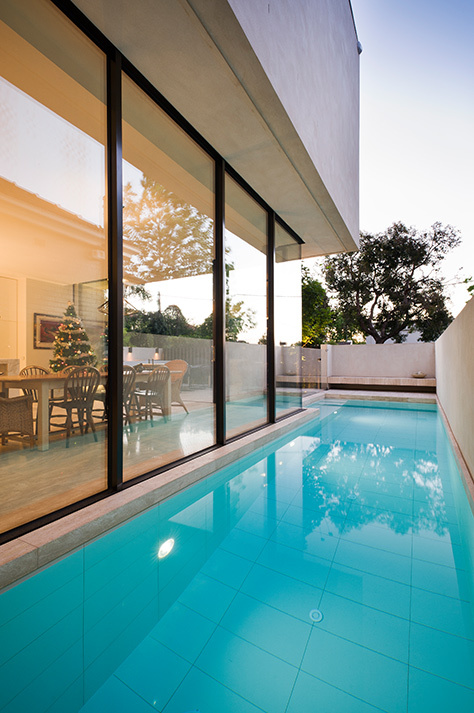 The pool surrounds are finished with travertine pavers that continue throughout the outdoor dining area and into the internal spaces of the house. 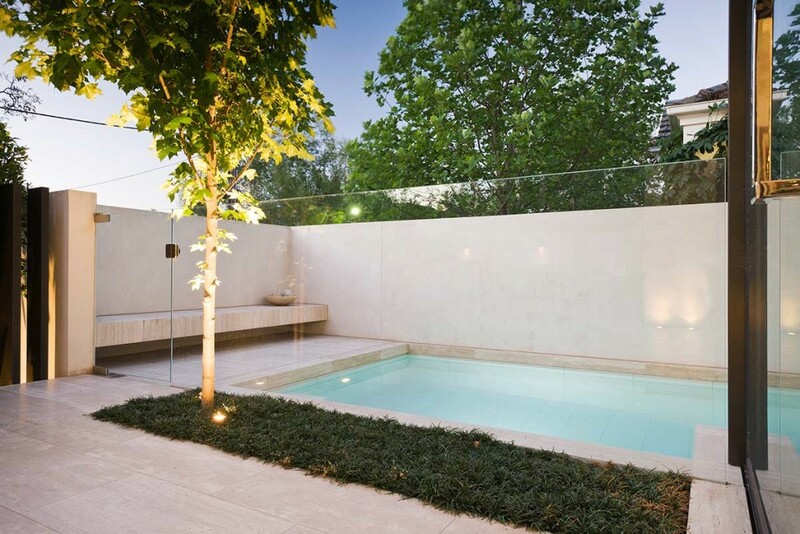 A raised feature wall along the boundary provides privacy whilst the pool’s proximity to the living area allows the pool to act an as elegant water feature for the residence.